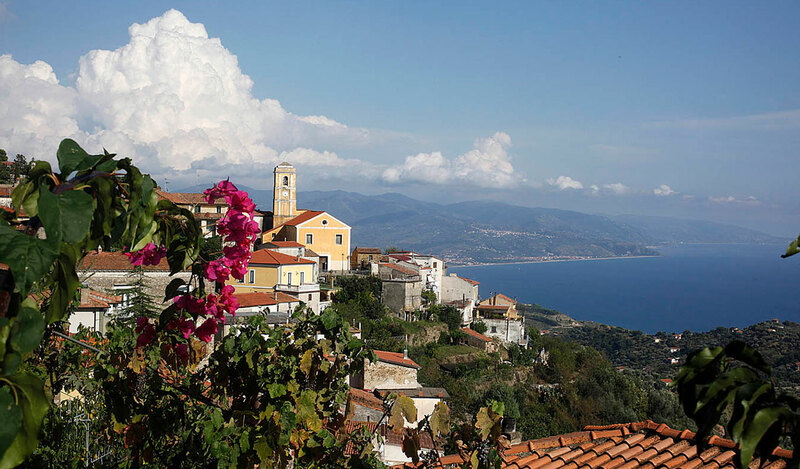 The wanderlust Cinghiale has brought us to the southern area of Cilento— a region of Campania composed of rugged coastline overlooking the Tyrrhenian sea and the largest national park that spans from the coast to interior mountains. Thanks to this unique composition the terrain has been preserved from overdevelopment and provides a rich and varied mediterranean-to-mountain culture to explore. This is a private celebration-of-sorts tour for Cinghiale alum and their friends who are willing enough to play guinea pig for us on our first tour of Cilento. The guest list is private but we’ll repeat a similar version later in the fall. We will split the tour between two seaside locations, four days in Palinuro and four days in Castellabate. Palinuro is a wonderful coastal village popular for it’s coastline and clean waters. 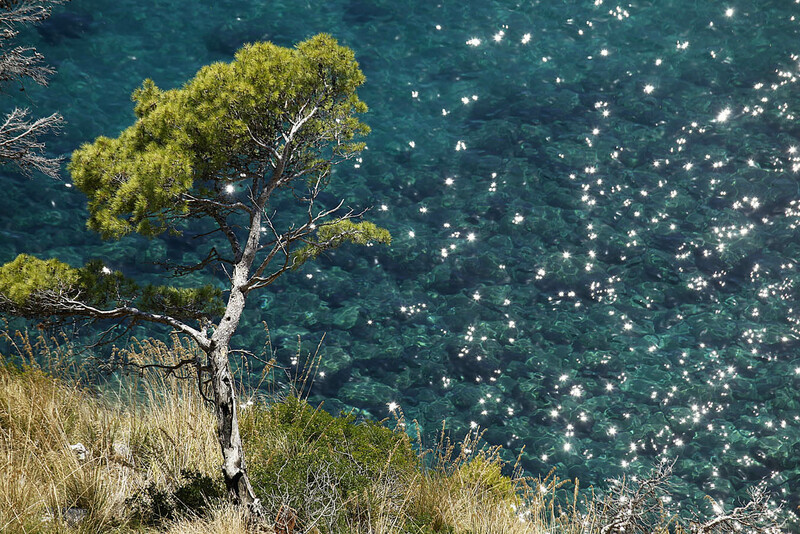 It is part of the large Cilento and Vallo di Diano National Park. The hotel is across the street from the beach and a stroll to the touristic harbor, where boats are for hire. The hotel has a spa and a great garden area to relax with a chilled bottle or two. We will have our meals at the hotel and our afternoons will be free to be on the water or visit the village. Our morning rides will be along the slopes overlooking the sea and returning to the hotel to lunch as a group. For non riders there is more time to take boat trips or hike near the shore in the national park. We will also take a boat trip together one the afternoon. Our second location is 60k up the coast to the Marina of Castellabate. Our hotel was once the hunting lodge and reserve for a royal family. The hunting is out, but we do have access to their reserve that extends for miles along the coast. In more recent years Castellabate is famous as the setting for the film Bevenuti al Sud, in which a terrified northern Italian is transferred to work in the backward south of Italy (a must watch before the tour!). Our meals will be in local restaurants to showcase the regional cooking. Riding friends who are willing to climb for the view over the Mediterranean. The roads will have relative flats for short distances along the coast, and then climb inland at a gentle 5% average. Of course there are steeper sections, and then easier bits. Fortunately for all, this area has a modern four lane hi-way inland from the coast to take most of the car traffic, so we can enjoy the old roads near the sea in peace. Be fit but not in a hurry; we will ride back for lunch and afternoons featuring the sea and beach, and, of course, recovery drinks grown locally. Non riders will have choices of visiting the villages, the beaches that are at our doorstep, hiking in the national parks, or taking boat trips. In the village of San Marco near Castellabate there is a regular ferry service to Capri. There are also many small private boats for hire that will take us along the coast and explore grottos and explain the local history and geography. Friends! Good company and great scenery abound. Cilento is the region for a case study on the Mediterranean diet, so we are assured to eat healthily, and very well. Paestum is a short drive or ride away, it has greek temples and world famous mozzarella di buffalo cheese. Both are worth the trip to experience. The tour begins with transportation in Naples at a nice and centrally located hotel to be determined, and ends with transportation to Naples airport (NAP), local train station, or start hotel. Flights should be scheduled in/out of Naples (NAP). Flight connections in Europe tend to leave early via Munich, so you may need to arrive a day early to make our pick up time of 10:00. Departing flights should be scheduled after 2pm on the 14th or a day later. Pick-up: 10:00 Thursday, June 6 in Naples at a hotel tbd.